Thanks. 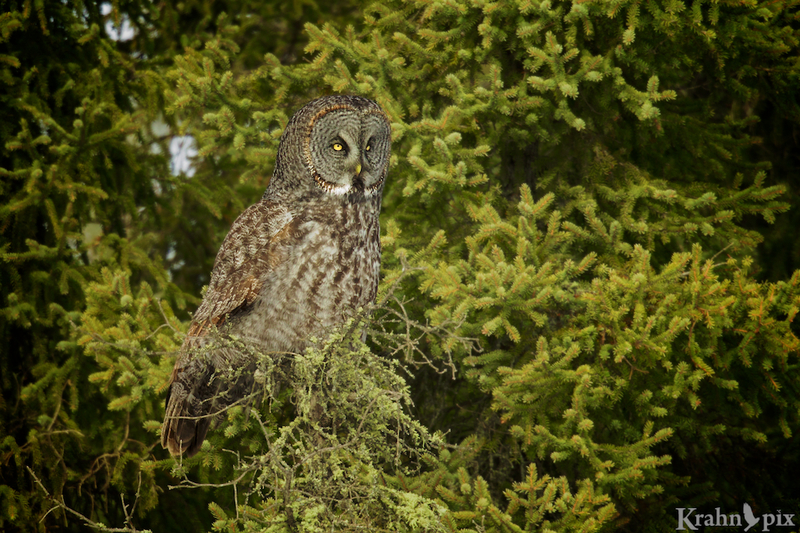 That was the only day I have seen Great Grey Owls so I was pleased to get some shots. How much I edit my photos depends on who I’m being compared to – some do a lot more or less. I shoot RAW images so I need to do the editing that the camera would normally do to make a jpeg. I don’t have PhotoShop but work in Aperture to make adjustments to things like colour temperature, levels and saturation so the photo looks good to me and natural. Sometimes it’s hard to make the photo like I remembered the scene.